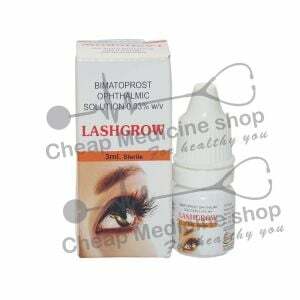 BIMAT (0.03 %) is drug of choice for Glaucoma (Open Angle Glaucoma especially) and prolonging the growth of eyelashes. 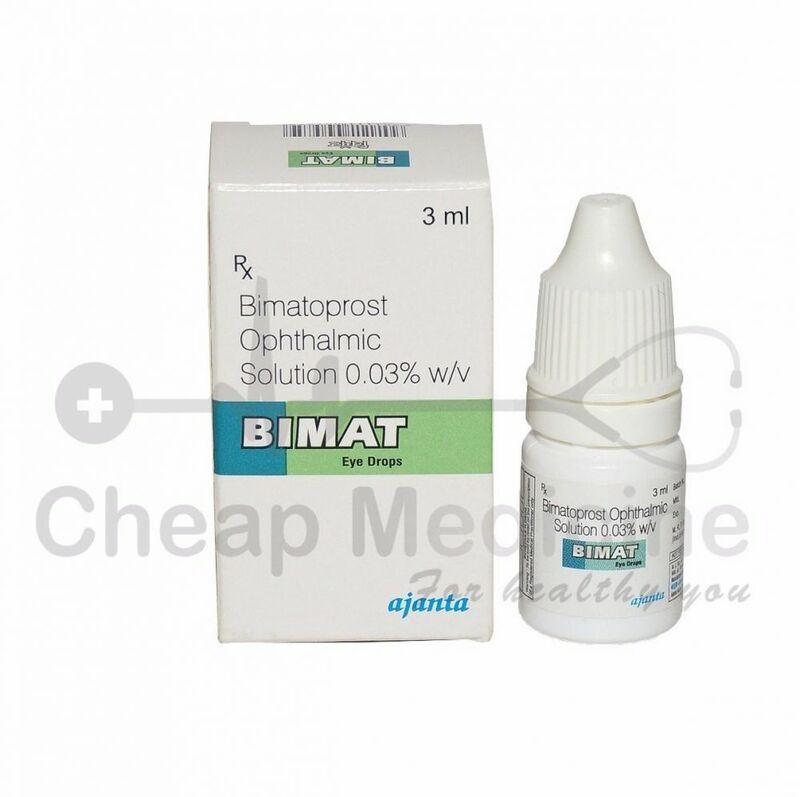 BIMAT Eye drops contain Bimatoprost, which is mainly a prostaglandin analogue. It is used mainly for two conditions which are, Open-angle glaucoma and to treat hypotrichosis. Lumigan is brand available in US having same salt bimatoprost. 1. Open-angle glaucoma: Glaucoma is a group of diseases associated with an eye of a person. The most common type of Glaucoma is Open angle glaucoma which is painless condition results into loss of vision and permanent blindness. In open angle glaucoma usually intraocular pressure increases which results into vision loss. BIMAT helps in reducing the intra-occular pressure thus treating open angle glaucoma. 2. Hypotrichosis: Hypotrichosis is condition which causes impaired hair growth or loss of hair in the region of the body. During use by patients, it was found that BIMAT eye drops help in restoration of the hair in eye region which is mainly eye lashes. 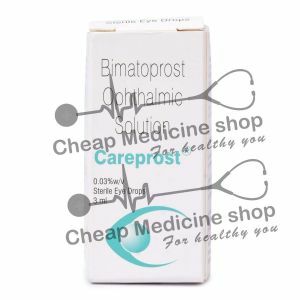 Bimatoprost the main ingredient in BIMAT Eye drops mainly helps in opening up the blocked channels in eye region drainage mechanism. When the drainage channels of eye get opened, the intraocular pressure gets reduced due to outflow of extra fluid in the inner region of the eye. It is mainly known as aqueous humour. The drug in 0.03 % concentration in solution form of 3 ml is mainly manufactured by Ajanta pharma. BIMAT is available in container in range of 3 ml. .03 mg/ ml is strength of the BIMAT solution. Take one drop in a day. Do not over dose yourself. Ask your doctor, for the correct dosage you should take. • Are wearing Contact lenses. Remove contact lenses prior using the BIMAT solution eye drops. Use contact lenses after 2 hours duration of application of solution in your eye. • Are allergic to bimatoprost. The drops shall be applied with caution in an eye once at a time. Make a pocket in eye using your Index finger by pulling the lower eye lid. Put one drop of eye in the pocket and close the eye and open it to spread the drug in complete eye region. Use only one drop in a day and do as directed by the doctor. For the purpose of hypotrichosis, apply the drop with applicator with caution over the base of the eye lashes, mainly applied over the upper eyelashes region. What to do if you missed the dose? If you have missed the dose, do not panic. Go for next dose, skip the missed dose time. Never over dose yourself. Following are the adverse effects using the BIMAT eye drops. How long it should be continued? Bimatoprost Ophthalmic solution 0.03 % shall be taken once in a day. It should be repeated more than once a day. Your doctor will inform you complete information on how to take the drug, when to take the drug, and up to what time. Consult your doctor for more information. Currently, no information on over dosage exists for the drug. The drug is still in Clinical trials, still, adverse reactions to the drug is being studied. When dose is missed, take it as soon as you recall to take it. However, skip the dose, if its almost time to take next dose. Never overdose yourself. For further information contact your doctor, as soon as possible. BIMAT Eye drops are not made for all patients. The prescription depends upon patients to patient and person to person. Remove contact lenses before application of eye drops in the eye. Consult a doctor if any adverse effects result in. Pigmentation: The drug has been reported to cause pigmentation changes in the body of the user. Frequently seen pigmentations have been reported in iris, periorbital tissue, and eyelashes. Eyelashes Changes: The drug may gradually change eyelashes and vellus hair in treated eyes.